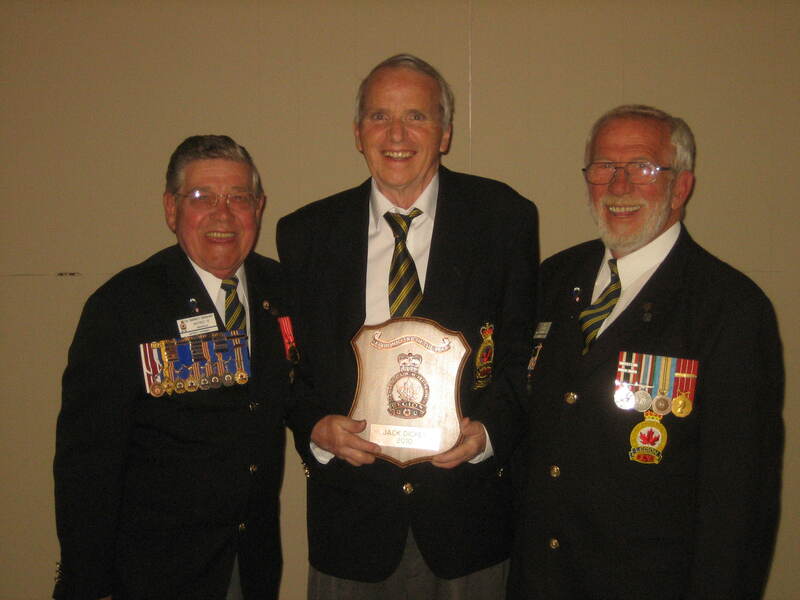 Each year, Branch 96 of the Royal Canadian Legion endeavors to select an outstanding member of our branch who goes above and beyond the normal expectations of a member of the Royal Canadian Legion. This years recipient of the “Legionnaire of the Year Award” is comrade Jack Dickey. Comrade Jack has shown, that not only this year, but every year since he was sworn into the Legion that he more than meets the criteria for such an award. Jack has twice served as Chairperson for the Diamond Jubilee Club, he has served continuously as treasurer for the club and has filled as many positions as were necessary to keep this organization viable. Jack has served as branch internal auditor as well as chairperson on the branch financial committee. He has continually served the branch in any capacity that current circumstances have required including helping in the kitchen, active participation in the Poppy Campaign, assisting at conventions and meetings and assisting the Ladies Auxiliary when required. At Zone G2 level Jack has, served as Zone Treasurer for the past 18 months. Without any doubt, comrade Jack Dickey is well deserving of this prestigious award.